Here’s one for all you scoffers out there who doubt that the central government is serious about cost cutting: a photo of a letter I received today. 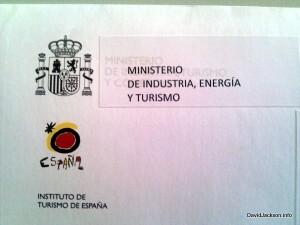 As you can see, it’s an envelope printed with the old name of the Ministerio de Industría, Turismo y Comercio. Instead of throwing away God only knows how many old printed envelopes when they changed the name of the Ministry earlier this year : someone has printed off a load of stickers using his/her laserjet, with the new name, and carefully stuck it over the old name. Good lads. Of course, a cynic might point out that it’s probably cheaper to order a million new envelopes than have someone there printing and sticking on stickers. To which I reply, what else do these overpaid staffers have to do? They’d only be out having coffee. 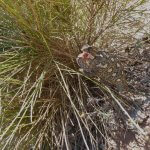 This entry was posted in Blog and tagged austerity, cost cutting, energia y turismo, espana, ministerio de industria, turismo by David. Bookmark the permalink. Next → Next post: Forget cutting 65 billion out of the budget – let’s cut 102 billion!